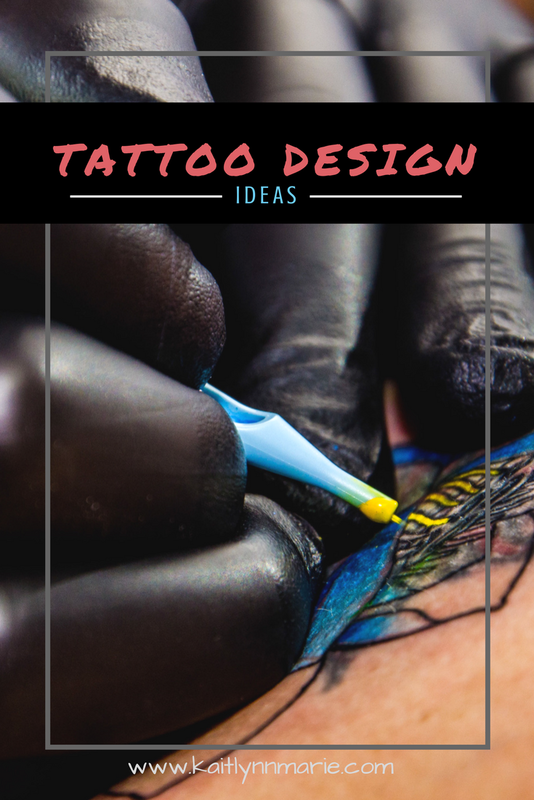 So I posted about the tattoos (and piercings) I have and I wanted to talk about some of the ones I want. I have a ton of ideas and I even have some drawn out, or at least partially sketched. Most of them wouldn't be able to be done exactly as they are, and all but one are a work in progress. The one I've wanted for the longest time, since at least 2010, maybe even earlier, is my angel. This is going to be a Native American girl dressed traditionally. Her hair will be braided, but I'm not sure if it will be in two braids or just one. She's going to be barefoot, and either crouching or sitting. She'll have warpaint on, because she's not just an average girl. My angel is a warrior. She does have wings, and they're expanded. She'll be sitting/crouching on two clouds. The one under her right leg will have my first name, and the one under her left leg will have my middle name. She will not have a halo. 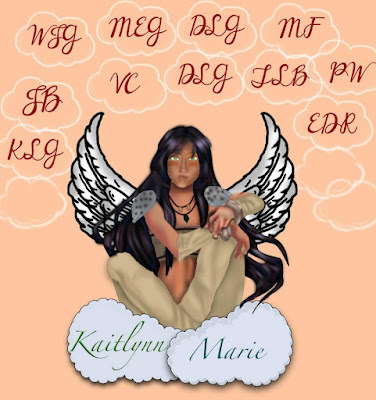 Above her and behind her will be clouds with initials and dates. They represent family that I have lost. Another one I want is a group tattoo. My sisters (on my moms side) want to get matching tattoos. I found one we all liked and modified it to fit each of us. It's an infinity symbol with the word "sisters" done in a gradient based on colors we like. I also want to get a dream catcher on my left arm. I knew I wanted to include my Native name, Princess Bright Eyed Doe. I also wanted to include either my tribes animal, a wolf, or the name. 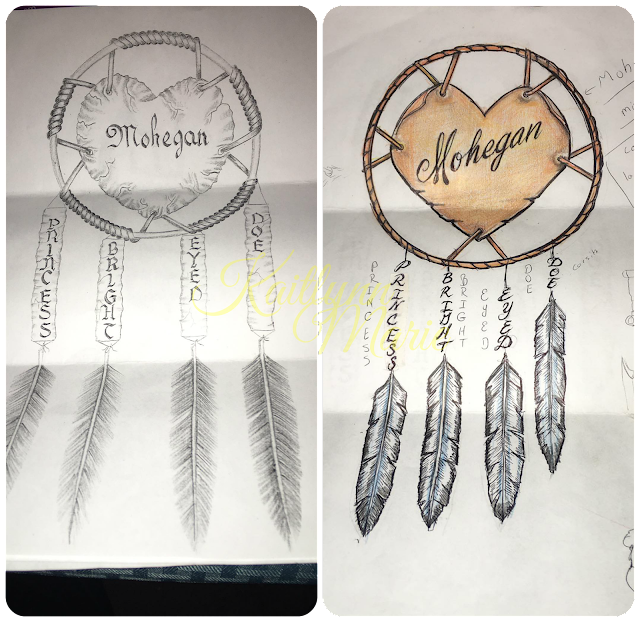 I decided to go with Mohegan. I want it to look like my name is the string attaching the feathers to the ring. The tribe name will be painted or burned into a piece of leather. I decided against webbing on the inner ring because I liked how it looked with the leather better. I might also make it look like it's an armband with wolf prints going around my upper arm. Because I love music, both of my current tattoos are musical in nature. I have another tattoo design that is based on music as well. I want an open book, at the first page. On that page it will read "am I still not good enough?" Those are lyrics from the Little Mix song "Good Enough," which is my all time favorite song. Above the book it will say "you can't write a book" and below it will say "from a single page." Those are lyrics from another Little Mix song called "Little Me." 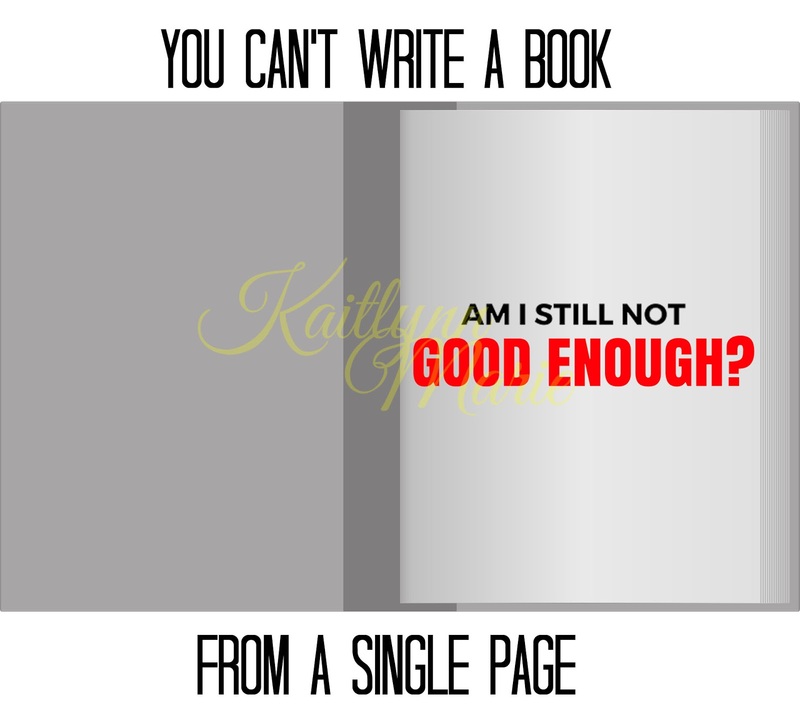 I love the concept because the message on the single page is "am I not good enough?" And the other lyrics are saying you can't write a book (base your life) from a single page. I have a verrrrrrry basic psd file for this one. The rest I don't have drawn up. One I want is a silver fox with a doe together, but I'm not sure of all the details yet. My father was Chief Silver Fox and I'm Princess Bright Eyed Doe so I think it's fitting. I want to add to my existing tattoo for my dad as well. I'm thinking either something in Algonquin, our language, or braille or morse code or something. I love the semi-colon project as well, and I want to get still ; rise tattooed somewhere too. I have other random ideas sometimes, but these are the ones that have stuck with me the longest. I know they say to sleep on an idea for a while before getting it. I doubt I'll ever go into a shop and pick flash, because it's not in my nature. I doubt I'll ever say "surprise me" or pick something the same day. There's nothing wrong with that, my sisters have done that, it's just not for me. 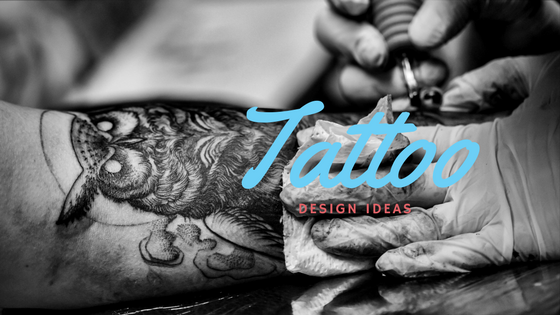 Do you have/want any tattoos? What do you think of my ideas? Let's chat in the comments! Ahh, I'm not a fan of tattoos at all! I never understand why people want to put pictures on themselves!